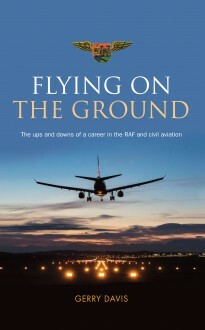 After a harsh initial training as a Boy Entrant at RAF Cosford in the 1950s, Gerry Davis went on to serve 15 years in the RAF, mainly on Air Movements, before joining ‘Civvy Street’ and spending the rest of his working life in a demanding civilian post at Bristol Airport, when he also joined the RAF Volunteer Reserve and served as Training Officer. His account of the adventures of a career spanning more than 44 years covers a wide range of experiences, from the amusing to the astonishing. A fascinating glimpse of the flying business from the inside.